Since 2012, the last week of April has been World Immunization Week. 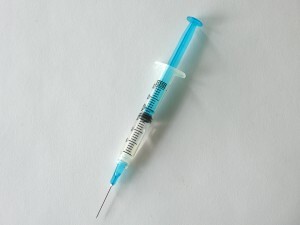 According to the World Health Organization (WHO), 1 in 5 children are missing routine immunizations. With nearly 20% of the world’s population at risk for diseases such as measles, whooping cough, and other preventable diseases, there are close to 1.5 million deaths annually that could be averted. As part of World Immunization Week, we at NeedyMeds want to spread awareness on the importance of vaccinations and the resources available for those in need. Vaccinations help keep diseases such as polio and measles in check. Fifteen years ago, measles was declared eradicated in the United States by the Centers for Disease Control and Prevention. Since that time there have more than 120 cases of measles, including an outbreak last year. The Centers for Disease Control and Prevention estimate that with vaccines they will save 732,000 American lives and prevent 21 million hospital visits for Americans born in the last 20 years. It is worth noting that hardly any medicine can be considered 100% effective; for example, the measles vaccine is 93-97% effective with one or two doses, respectively. This means that three to seven out of 100 vaccinated people will still get measles if exposed to the virus. Measles is so highly infectious that 90% of unvaccinated people who come close to an infected person will contract the virus. With this knowledge, being unvaccinated for infectious diseases is not only putting oneself in danger of serious illness, but also the community at large.